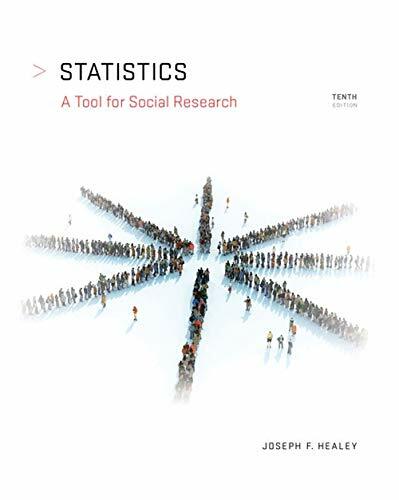 Packed with everyday examples of statistics in the real world, STATISTICS: A TOOL FOR SOCIAL RESEARCH, 10e, provides a reader-friendly introduction to the fundamental concepts of statistics and their practical application to a wide variety of contemporary social issues. Using myriad examples of statistics from daily life, the text demonstrates that statistics are not just abstract mathematical constructs but have practical value in government, education, business, media, politics, sports, and much more. STATISTICS helps you understand the importance of statistical fundamentals in research without requiring advanced mathematical knowledge. It supports effective learning for both math-averse beginners as well as more advanced students in diverse social science disciplines. Focusing on the application of computational research in favor of the computations themselves, the text fully integrates with the most current version of IBM's SPSS software and labels end-of-chapter SPSS problems by the discipline from which they are drawn. The author breaks down even the most complex material to help you master key concepts and develop the skills you need to succeed as a professional in a social science field-or simply to become a "statistically literate" consumer of social research.